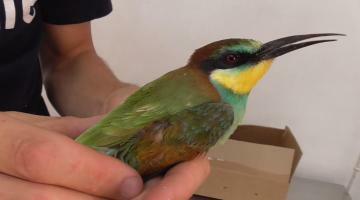 Only three days into the autumn hunting season, BirdLife has reported the first known victim – an injured European bee eater (Qerd in-Naħal) which it said was shot at Ħal Għaxaq yesterday. After being recovered by BirdLife Malta yesterday, this morning it was taken to the vet’s clinic for a veterinary visit. 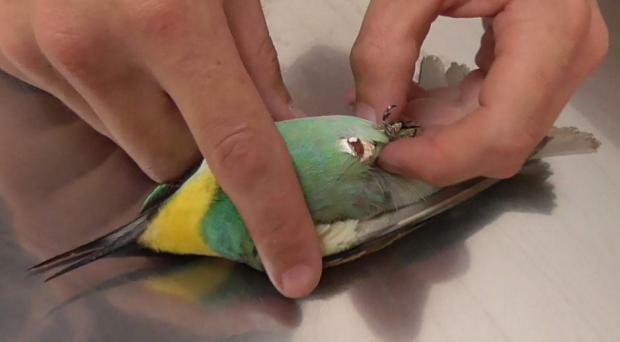 An X-ray was taken and it confirmed a fracture to bird’s right wing as a result of shotgun injury. The vet recommended the bird for rehabilitation - in the hope that it would be saved. The bee eater can easily be distinguished thanks to its pointed, downcurved bill, long pointed wings and tail but above all its rich exotic colours and bright plumage. It is a specialist in catching flying insects and is a common migrant with large flocks seen daily during autumn and spring.